There are several holiday events and concerts coming up benefiting worthwhile organizations including Harvest Hands, The Leukemia & Lymphoma Society, Christmas 4 Kids, Second Harvest, Musicares, and more. 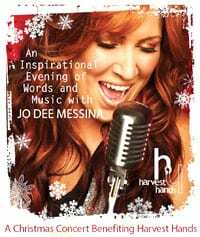 Multi-platinum country singer-songwriter Jo Dee Messina has announced she will hold her second annual Christmas Concert benefiting Harvest Hands Community Development Corporation (CDC), Sat., Dec. 4 at 7:00 PM. at Brentwood United Methodist Church. Tickets are free and available online at www.jodeemessina.com, www.harvesthandscdc.com and www.bumc.net. Concert goers are asked to make a “love offering” for the cause. As part of The Leukemia & Lymphoma Society’s “Team in Training” program All Access’ editor and cancer survivor Jim Asker plans to raise $25,000 with his upcoming event, “An Evening of Music.” The event, hosted by GAC’s Suzanne Alexander, will be held Sat., Dec. 11 at The Listening Room at Cummins Station in Nashville from 7-10:00 PM. Special musical guests include singer/songwriter Anita Cochran, Cold River recording artist Katie Armiger and Curb recording artist Ashley Gearing. A silent auction will accompany the event with all proceeds benefitting The Leukemia & Lymphoma Society. For more information, or to purchase tickets, please CLICK HERE. Charlie Daniels will host and headline the Charlie Daniels & Friends concert on Mon., Nov. 22 at the Ryman Auditorium, beginning at 7:00 PM. Daniels and friends Montgomery Gentry, Jake Owen and Sawyer Brown will perform at the charity event that raises money for the Christmas 4 Kids organization. The funds generated by the concert, and the Tour Bus Show/Artist Meet and Greet event are used to give more than 400 children a day-long shopping excursion. 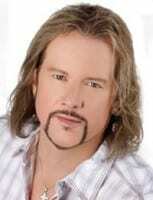 The Annual Tour Bus Show/Artist Meet and Greet event will take place on Mon., Dec. 13 in Hendersonville, TN. The shopping excursion will takes place on Tues., Dec. 14. 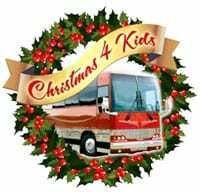 For more information on how you can volunteer to help chaperone one of these special children, visit www.Christmas4kids.org. The Music City Community Chorus, directed by Renee Grant-Williams, is performing its annual winter concert to benefit Second Harvest Food Bank of Middle Tennessee. The chorus will be singing Sergei Rachmaninoff’s “All Night Vigil” on Dec. 16 at the Cathedral of the Incarnation at 7:30 PM free of charge. Audience members are asked to bring canned and non-perishable food items to donate to Second Harvest of Middle Tennessee. 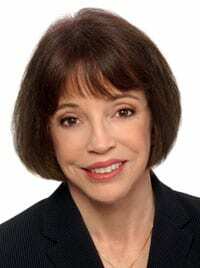 For more information or to make a donation, visit www.MusicCityCommunityChorus.org. Force MP Entertainment’s Steve Richard is helping Elaine Odum, a young lady from Overland Park, KS feed 500 families for Thanksgiving. Odum accepted the challenge while attending a Christian youth camp. Richard made a donation himself and is reaching out to his fellow artists and the public to add their contributions as well. 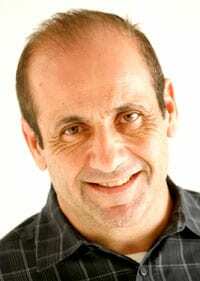 A non-profit organization called In His Service, is collecting money on Elaine’s behalf. To find out more and to donate visit www.steverichardmusic.com. Guitar Center is giving holiday shoppers a chance to make a difference in the lives of musicians by making a contribution to MusiCares Foundation at any store in North America. MusiCares provides support and guidance for struggling musicians, from addiction recovery to personal or medical crisis. Guitar Center is accepting contributions $1 and up at any of the locations nationwide. Shoppers who donate will be given an ornament to display in the store. For more information, contact your local Guitar Center or visit them online at www.GuitarCenter.com. Country Music and television star Billy Ray Cyrus and the Country Music Association (CMA) have joined DRIVE4COPD to raise awareness of Chronic Obstructive Pulmonary Disease (COPD). DRIVE4COPD is a national public health initiative that aims to help people identify symptoms of COPD and take action. For more information about COPD and the campaign, visit: DRIVE4COPD.COM. On Nov. 13 rising country star Chelsea Field and Ian Somerhalder, star of the CW Network’s The Vampire Diaries raised just over $100,000 for homeless animals in the southern region of Louisiana. Over 1,000 supporters, and 32 fur balls, turned out for “Unleashed! 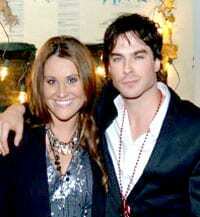 Bash on the Bayou.” The benefit featured Field as the musical entertainment with Somerhalder as event host and Chairman. All proceeds benefit Covington, Louisiana’s St. Tammany Humane Society, the largest no-kill animal shelter in the state. Tennessee nonprofit ReTune Nashville raised nearly $20,000 for musicians’ flood relief at the Oct. 23 Benefit Concert and Art Auction Event held at Nashville’s Soundcheck. Approximately 90 pieces of artwork and jewelry created from flood damaged instruments were on display. 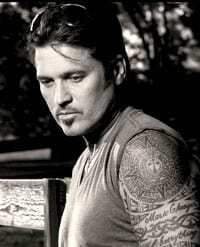 Music performers included Sean Smith, Sean O’Bryan Smith, Jeremy Lister, Anthony Smith, Jamie O’Neal, Eddy Raven, Kentucky Thunder and Derek St. Holmes. ReTune Nashville continues their efforts to raise funds for uninsured musicians affected by the May flood through MusiCares Nashville Flood Relief, Nashville Musicians Association Flood Relief Fund with the an online auction. 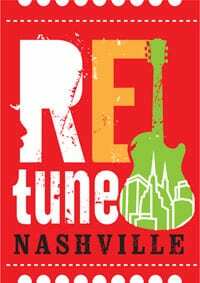 To bid on items or for more information about ReTune Nashville, visit retunenashville.org. 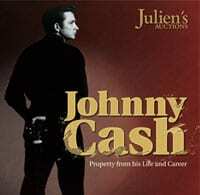 Julien’s Auctions is proud to announce an auction of property from the life and career of Johnny Cash. The auction includes items from Cash’s military career, through his life and partnership with June Carter Cash, his time as a Highwayman through the end of his career. A portion of the proceeds from the auction will benefit MusiCares.